Bespoke, personalised ceremonies created to meet your specific needs by Sue Dowell, an independent Professional Celebrant, based in London and the Ashbourne area of Derbyshire. Finding the right person to help create your special ceremony is hugely important, and I understand that your confidence and trust in my ability to write, create, and deliver your special ceremony is vital. I love the creative process of working with people to find out what they really want out of a ceremony, taking those ideas and mental pictures, and turning them into a truly personal service. Whether it’s to celebrate a new life or the lifelong commitment of a couple to each other, or to say a final goodbye to someone special who has died, it is a great privilege to be part of peoples’ lives at such key moments and to make a positive difference to them, even in a small way. An experienced Celebrant holding a certificate and membership of the Fellowship of Professional Celebrants, I can create whatever kind of ceremony you want. It can be as traditional or unusual as you wish and there are no restrictions on incorporating religious or spiritual elements to suit your beliefs. 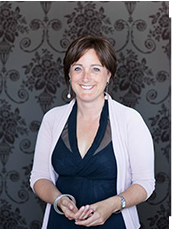 ceremonies make her a huge asset to the Professional Celebrant profession, and anyone working with her will be very lucky to have her creating a special service for them." Copyright © Sue Dowell Celebrancy 2012. All rights reserved.